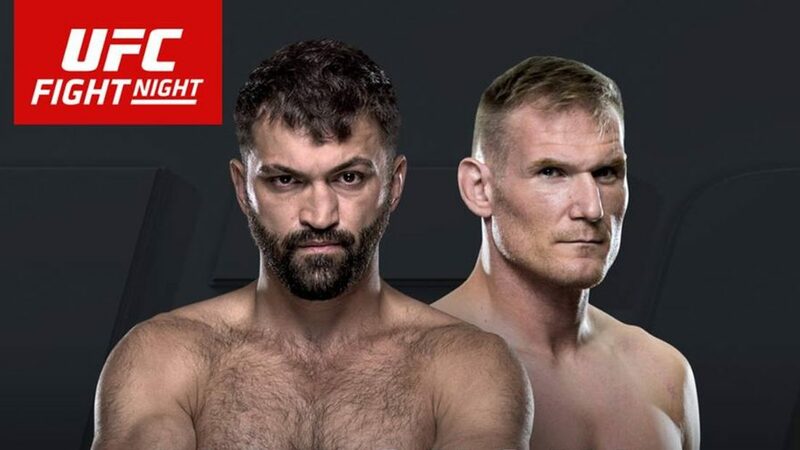 The UFC heads to Hamburg, Germany for UFC Fight Night 93: Arlovski vs. Barnett on Saturday, Sep. 3. Let’s take a look at your best bets for this event. These favorites are our locks to win on Saturday. Alexander Gustafsson. “The Mauler” returns to The Octagon for the first time in almost a year against the Jan Blachowicz. A look at Gustafsson’s record might make you do a double-take. He’s lost three of his last four, but the losses have come against Jon Jones, Daniel Cormier, and Anthony Johnson. Gus is the #2-ranked light heavyweight and he should make quick work of Blachowicz. Gustafsson is listed as a heavy favorite according to all online MMA odds at +700. That seems like a hefty number, but he’ll be worth it with a quick win. Rustam Khabilov. Khabilov looked like one of the top prospects after winning his first three UFC fights, including a win over Jorge Masvidal. But Khabilov lost both his fights in 2014 and 2015, and fans were left wondering if he was legit or a can crusher. Khabilov acquitted himself well with two decisive wins over Chris Wade and Norman Parke. Khabilov was originally slated to fight Reza Madadi on Saturday, but now faces replacement Leandro Silva. Khabilov (-425) should overpower Silva from pillar to post and notch his third consecutive win in the process. Ilir Latifi. Latifi takes on the always-tough Ryan Bader and is the underdog at +175. He is our upset special for UFC Fight Night 93. Latifi, aka “The Sledgehammer,” is a hulking, yet undersized light heavyweight at just 5’8″. He has enormous power, exceptional takedown defense and a killer chin. Bader has shown susceptibility to power-punchers in the past and Latifi will land on Bader. Look for a first-round KO as these two will go to war right from the first bell. Josh Barnett. Everyone knows Barnett is an amazing catch wrestler, but he also showed off a much-improved, diverse striking game against Roy Nelson. Most of the stats between the Barnett and Andre Arlovski are similar, although Barnett has a better takedown game. He also has a better chin than Arlovski. Arlovski has excellent takedown defense, but Barnett is crafty and can also get this to the ground via scrambles. Barnett has 20 submission wins in his career, and Saturday night he’ll notch number 21. He’s a great value at -145.